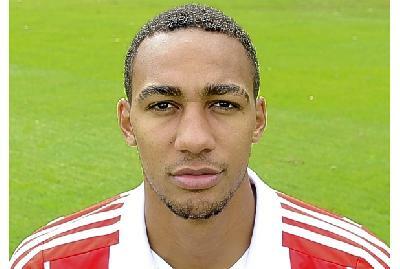 Often Steven N'Zonzi is erroneously referred to as a defensive midfielder, which is simply not what he is. He does offer significant protection to the back four, but it is not his entire game. N'Zonzi is not a Victor Wanyama or Nemanja Matic, who sits in front of a defence breaking up opposition attacks, and mostly holding position there. A box to box role is what he fulfils, getting forward with a style reminiscent of a cross between Yaya Toure and Peter Crouch. Since his arrival at Stoke City from Blackburn Rovers, his game has often been unfairly criticised because of his gangly limbs making him look awkward, in a similar way to Crouch. Though his marauding forward runs, with pace and power, are more comparable to Yaya, rather than the much slower Crouch. While at times his touch is delicate, he can still hit the odd piledriver shot giving a keeper no chance. His skills are at a much higher level than he is given credit for, with an ability to use his long limbs to reach out and keep the ball under control when it is looking like it is getting away from him. Those long legs also come in useful when defending, as an opposing player suddenly finds the ball taken away from his toe by an outstretched leg that extends further than seemed possible. It is almost like they grow by a few inches to reach sometimes, at times they seem to be 6 foot long. Given the freedom to charge about the field getting involved at both ends of the pitch, N'Zonzi is an integral part of Stoke's team, both breaking up play and getting involved in the attacks. His passing is a weakness, at the top end of the game, he does not have the vision to be a playmaker. He is not really a true box to box midfielder as he very rarely ventures into the opponent's goal area, he is more likely to be hanging round on the edge looking for bits and pieces to break to him. Technically sound, with good pace and height, he is an excellent example of an all round player, though not quite good enough for the top echelon sides, due to his lack of passing vision. N'Zonzi is one of those players that is a standout in a team just outside the really top sides, but in the best sides he would be a back up, a very good back up, but just not quite good enough to nail down a place on a consistent basis. Everything about him is good, rather than great. He is tall, but not tall enough to dominate, he is strong, but not strong enough to overpower opponents, quick, but not quick enough to leave everyone trailing in his wake. It is the lack of one part of his game that is truly outstanding that stops him from being top echelon. The lack of Andres Iniesta's twinkletoes or Xabi Alonso's vision and range of passing holds him back from being any more than an almost man. Almost good enough to be top class, but not quite. Almost good enough to be a France regular, but just not quite.